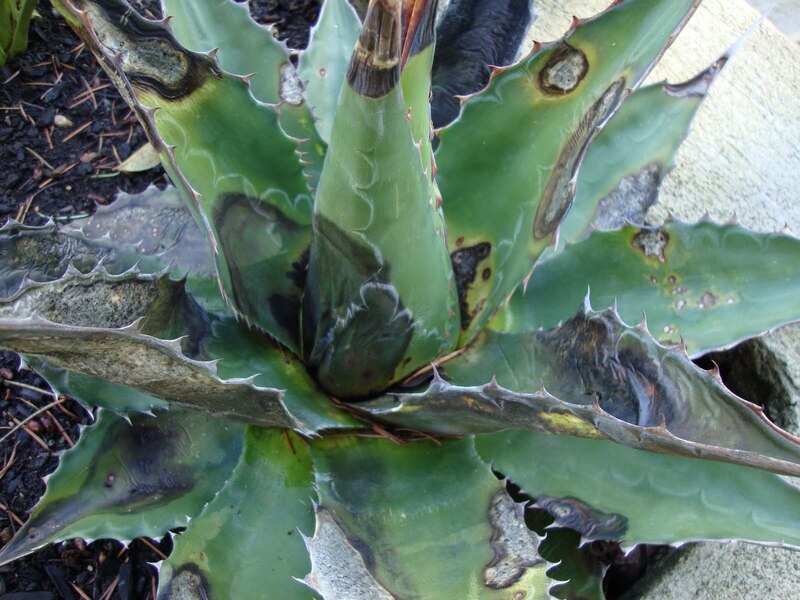 Last September I exposed my love affair with Agaves, in lurid detail I delved into the different kinds I was growing and the conditions in which they were growing. I promised a follow up in the spring, for better or worse. Well… unfortunately back then I had no idea just how bad it was going to be. The month of December was not a happy one here in the danger garden. Most, if not all, of these deaths were from a 3 night period of record lows (13 degrees), not getting above freezing during the daytime (for about a week), combined with no insulating snow cover, intense drying wind, and the fact that this all came completely out of the blue. No hardening off for the plants, one day warm and raining the next day dry and bitterly cold. 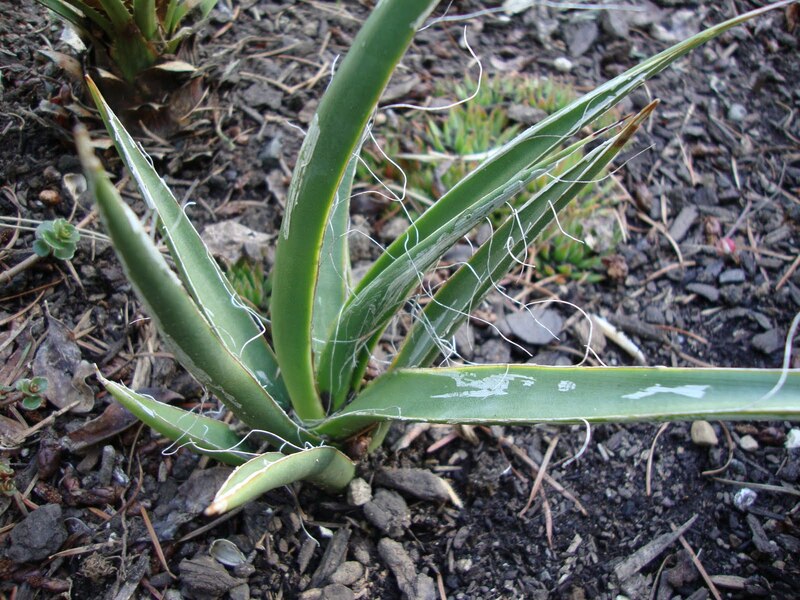 Agave parryi – Parry’s Century Plant, Flagstaff form, hardy in Zones 4-10. Dead. It struggled…one day I touched it and its center fell over. That was the end. Next…my Agave montana 'Baccarat' this is a sad tale. This picture was taken before things got really ugly. She’s gone to agave heaven, and it wasn’t pretty. Agave Gentryi ‘Jaws’ according to the San Marcos Growers website this is one of the most cold tolerant of the large agave, tolerating temperatures down to 5° F. I do believe if we had built up (or down rather) to the cold temps this one might have survived. It just all happened so fast. Here is a cold hard reality shot taken in February. 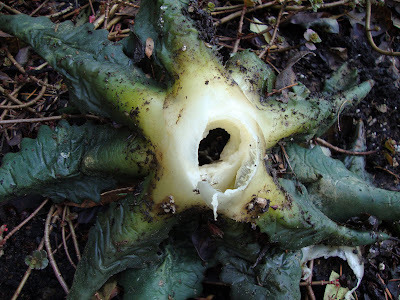 That is the underside of the plant. I had picked up the rotten mass and turned it over. Agave Americana ‘variegata’ pups…there were 4 in the first picture on the original post. One is dead…and 3 live on, although they have suffered a few lost leaves. Mr. Big. He had his own post back in December, when I was beginning to believe he just might make it. And he has. 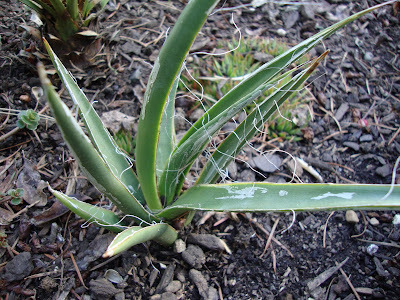 Thank god…he is my agave super star…I don’t know where the danger garden would be with out its biggest agave. What did he have that the others did not? Protection from the rain. He was covered and although he dealt with the same cold temps he didn’t have the rain to get his feet wet before the cold snap. Next up was the pup that I thought might be a sacrifice to the winter gods. It actually lived! It’s smaller, but still alive. The pups on either side are new, gifts from my Arizona brother. 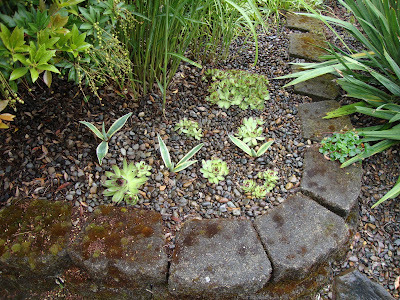 Last up was an Agave parryi that spent the winter in a terra cotta pot. Not a problem. Even when the pot was frozen solid to the garage floor for several days and I couldn’t pick it up to move it indoors. This agave survived without an issue. So what’s his reward? Now he’s in the ground. Nice digs for the summer months…we’ll see how he feels about it in the winter. In addition to these in-ground agaves I have many (too many, some would say) agaves in containers that sailed through last winter under grow-lights in our basement. When the weather started to warm up and dry up in early May they were transitioned outside. Only to be hit with record setting rain and cool temperatures. Hopefully I won’t be posting about them anytime soon, other than to share pictures of how good they look. I don’t want to loose anymore agaves! That really was a perfect storm of an agave-killing winter you had, even doing in parryi. Three cheers for Mr. Big. One of my treasures is a tiny pup of an americana with the reverse striation, yellow in the middle, green on the edges. The photo of Baccarat is heartbreaking. "It just all happened so fast," sounds like narrating a crime scene. Don't give up! 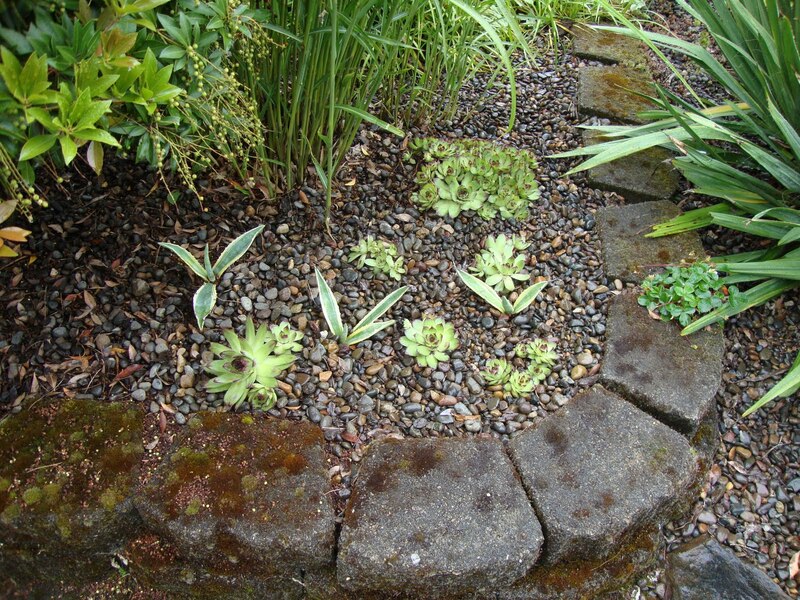 To restate a great quote, "I consider all plants 'hardy' until i've killed it myself -- at least three times." Yea for survivors! I bet you are right that it was the rapidity of the temperature change---and wet weather---that did in some of these tough guys. Denise, well put! It looked, and felt, like a crime scene! gh1, no worries...I'm a glutton for punishment. I've already planted others in the ground. I figure we've got to have a warm winter sometime right? Megan, that weather was a 20 year anomaly. Hopefully never to be seen again in my lifetime. But you are right, I need a rich relative who owns a house in Santa Barbara. Nature Assassin, you are right of course. No sissy agaves need apply. Laura, more rocks is always a good thing. I think on our 4th delivery (dumped in the street) our neighbors decided we were crazy. Pam, next year will be better, right? I think the rain/moisture played a big role. If they were kept dry they may well have all survived. My Parryi Truncata is doing well as I have kept him out of the rain. Hey Tim, you realize this post is from 2010 ya? Not our epic wet 2015/16 winter. Although to be honest I don't remember how much moisture we had that winter, certainly not the record setting numbers we're experiencing now. Although of course that winter was very cold and this one has been warm. Anyway...I have many more Agaves in the ground now and most of them are doing okay. There's been a learning curve for sure! The Pond…yes, we finally have a pond. One sunny day is better than no sunny day, right?